The company INTUISKIN France, a simplified joint-stock company with capital of € 742,372, registered with the Trade and Companies Register of Grenoble, FRANCE, under number B 521 471 144, and whose registered address is Park Activillage des Fontaines, ZI Bernin 38926 Crolles Cedex, FRANCE, operates the website IOMA PARIS USA available at: www.iomaparisusa.com (hereinafter “the Site”). Our offers are exclusively reserved for individuals, for use without resale, for delivery in North, Central and South America. An individual is a natural person who is acting for purposes which are outside the scope of his trade, craft, business or profession. Any resale of products purchased through the Website is strictly prohibited. Only natural persons legally capable of entering into contracts of sale for products offered by INTUISKIN France may place an order. To this end, you declare to the company INTUISKIN France that you have agreed to the Online General Terms and Conditions Sale and, so that the sale can be completed, that you are of legal age and are not under supervision or legal guardianrship when placing your Order . These General Terms and Conditions of Sale are intended to establish the sales procedures for cosmetics on the Site (hereinafter the “Products”). These General Terms and Conditions of Sale are available online at the main address of the site, and are downloadable, printable and prevail over any other reproduction medium. INTUISKIN France reserves the right to modify these Online General Terms and Conditions of Sale by publishing a new edition which will apply to all orders placed after it was first uploaded to the website. The order means that you agree to price, the characteristics of the products listed on the website as well as delivery terms and conditions of products,bearing in mind that the products are offered for sale subject to stock availability. Before confirming your Order, you will be asked to declare that you have read the following provisions and expressly accept the terms thereof. To finalize your order, you will be prompted to click the “Confirm my order” button which will direct you to the secure online payment page. By clicking on the “Submit” button you agree to the entire order. (This action confirms the entire Order). Once the order has been received, we will confirm the acceptance of your Order and the dispatch of your products as soon as possible, by e-mail. Information on Product availability is available when placing the Order. Errors or modifications may occur as an exception, particularly in peak periods such as Easter, Mother’s Day, Christmas, etc. In the event of unavailability of a Product after placing your order, we will notify you by email, as soon as possible, in which case your refund will be made within no later than 14 days following the cancellation of the Order. You will have a chance to create a personal account when placing your first order. To do this, you will be prompted for a user-name and personal password as well as the personal data necessary for placing your Order, including your identity, your address, your shipping address if different, your phone number and the payment method to fulfill the Order. Orders being payable only by credit card, you will need to provide the details of your card, and enter the information thereon necessary to complete your Order, namely: its number, its expiry date and the security code on the back of your bank card. The user name and personal password are proof of your identity and you commit to any Order placed through them subject to the exercise of your right of withdrawal as defined in Article 4 of these General Terms Conditions of Sale. They serve as an electronic signature. Your user name and personal password are your responsibility and you alone will bear the consequences that could result from any uses by third parties who become aware of them, unless that knowledge is the result of a direct fault of INTUISKIN. If you forget your ID and your personal password, or fear that a third party might have got hold of them, the Site has a function showing you how to recover your user-name and choose a new password at any time. Using your user name and your personal password, you can later access the Site at any time to place your orders. With these same user names and passwords, you can partially and / or completely access your personal data on other tools offered by IOMA. It is your responsibility to pay particular attention to the information provided, as well as the Products in your Order before confirming it. The Order processing system allows you to go back on your Order to change or correct any error before confirming it. INTUISKIN cannot be held responsible for any errors on your part when placing your order. – or an Order placed in bad faith, particularly if INTUISKIN France finds that you are trading in the Products thus purchased. The prices applied are those in effect on the date of confirmation of the validation of the Order. Prices are in US Dollar, unless otherwise stated on the Website, excluding costs for international transactions fees charged by your card issuer or bank and delivery costs of the Products as indicated in Article 3.1 of these Online General Terms and Conditions of Sale. Promotional offers and the prices that are offered are valid while visible on the Website, subject to availability. We accept no liability in the case of a shortage or unavailability of the Products. INTUISKIN reserves the right to change prices of Products listed on the Website, without notice. As your delivery address is outside of France you may be subject to import duties and taxes (including VAT), which are levied once a delivery reaches your destination country. Any such additional charges must be borne by you. You should note that customs policies and practices vary widely from country to country. Unfortunately, we have no control over these charges or the costs applicable. We recommend you contact your local customs office to find out more about any possible charges you may be required to pay. INTUISKIN France will not refund these charges. To find out what happens if you reject delivery because of customs charges please go in the help section MY ONLINE ORDER – RETURN & REFUND. Orders are payable in US Dollar only. The payments of the Order must be made by credit card (Master Card, Visa Card, Amex, Diners, Discovery, JCB, Paypal, ALipay) and you will be charged when your order is confirmed. INTUISKIN retains ownership of the Products delivered until full payment of invoices and reserves the right to suspend delivery in the event of late payment, and this until complete regularization of the debtor account. In case of delays to payments into the bank account specified at the time of placing your Order, the amounts due will bear three (3) times the legal interest rate without any formal notice being required. The Order is booked by our France based Bank. We are not responsible for your card issuer or bank charging you as a result of our processing of your credit/debit card payment in accordance with your order. The applicable shipping charges are those in effect on the day of the confirmation of the validation of the Order. However, delivery costs, beyond the control of INTUISKIN France, are accordingly subject to change at any time without the responsibility of INTUISKIN France being sought. Shipping costs for orders less than $99 will be charged and are indicated at the time of validation of the Order. For all products, deliveries will be made by UPS within 1 to 4 business days to the address of your choice, from the date of receipt of the order-confirmation email. A longer period should be expected for deliveries during high traffic periods as Christmas (2-7 working days). These delivery deadlines start from the validation of the Order by INTUISKIN. Deliveries will be made exclusively in the terriories of North, Central and South America. Delivery deadlines shall be automatically suspended by any event beyond the control of INTUISKIN France and resulting in late delivery. Moreover, INTUISKIN disclaims all responsibility and compensation claims in case of delay due to any false or incorrect information you may have given at the time of the Order. It is your responsibility to verify the number and condition of Products upon receipt. – notify us within 14 (fourteen) days of delivery by registered mail qt the following address: IOMA – CUSTOMER SERVICE – 116 bis, Avenue des Champs Elysées, 75008 PARIS, retaining the invoice and delivery slip signed with your provisos. You have a period of fourteen (14) calendar days from the date of receipt of the Order for you to withdraw if the products do not suit you, without necessarily specifying a reason. 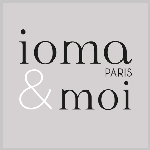 To exercise your right of withdrawal, simply return the withdrawal form [click here to download the form] duly completed and signed to the following address: IOMA – SERVICE CLIENTS – 116bis, Avenue des Champs Elysées, 75008 PARIS. In accordance with the provisions of Article L.121-21-3 of the Consumer Code, it is your responsibility to return the Product no later than 14 (fourteen) days of communicating your decision to withdraw. The first time you buy a product, and for certain products only, INTUISKIN will supply a sample of the product purchased in addition to the product ordered. The sample will allow you to try the ordered product before you open it. We will fully refund the treatment(s) purchased that have been returned to us provided that the products have not been opened, the protective film and cellophane packaging have not been removed or damaged, and the products have not been used. Please note, the personalized MA CREME Jour et Nuit treatments cannot be returned. The IOMA quality department responsible for the inspection of the returned products goes on the state of the product after the return package has been unpacked. We therefore recommend you use robust packaging to avoid any damage to the product during transport; ideally use the original packaging. The invoice corresponding to this purchase should be returned in the package. We also ask you to retain evidence of the sending of the packages containing the returned Products, failing which INTUISKIN regrets that, in the absence of proof of delivery, that it cannot reimburse any package it does not receive. Subject to the foregoing, INTUISKIN will reimburse you by bank transfer into the bank account used in the Order the price of returned products and delivery charges at the time of the Order, if they have already been paid, within 14 (fourteen days) from the date INTUISKIN France received and inspected the returned Products. Any return postage will be paid by INTUISKIN only if the product reimbursement is granted. Otherwise, any return postage will be at your expense. All events of any kind, beyond the control of INTUISKIN France, such as acts of God, force majeure, accident, strike, administrative decision, stopping of transport services delaying or preventing the implementation of the delivery is by express agreement, a cause for suspension or termination of the obligations INTUISKIN France at its will, without compensation for your benefit. INTUISKIN France will notify you, by any appropriate means and refund the amount of the undelivered Order. A new delivery may be scheduled according to conditions to be agreed if desired. Products on the Site are in accordance with regulations in force in France. When you click on the product by visiting the Website, features and information on the Products will then be presented, in particular the capacity, the main active elements, benefits and beauty advice. INTUISKIN France reserves the right at any time to change the items offered on the Website without notice. The information requested of you during the creation of your personal account is required to process your order by INTUISKIN France and offer you several specific services, including the possibility of making a skin diagnosis either online or with a device at a POS, or of collecting loyalty points. Depending on your point of connection we may need to synchronize some and / or all of your data between different platforms including website, apps. and devices, to make them available during your connection. These headings allow you to change your own personal data, and to do this at any time. To delete your personal data, please contact the IOMA customer service department stating that you want to delete your data. All of this information, potentially supplemented by other information at the time of your Order, will be subject to automated processing for the purposes of administrative and commercial management. Whatever the medium, all items published on the Site, including graphics, software, photos, sounds, videos, recipes, names and packaging of the products, and without this list being exhaustive, are the exclusive property of INTUISKIN France. Any use or reproduction of any kind is strictly prohibited. Any dispute concerning the execution of an Order and / or interpretation of these General Terms and Conditions is subject to French law. In case of a dispute concerning the interpretation or implementation of agreements between you and INTUISKIN France, the competent court will, at the applicant’s choice and in accordance with legal provisions, be either that of the place where the defendant lives or that of the actual delivery of the Product, or that of the place of execution of the service. Pursuant to the provisions of the Law of 21 June 2004 on trust in the digital economy and the Act of 13 March 2000 on electronic signatures, the act by which you submit your order by computer transaction as specified on the Website constitutes an irrevocable acceptance of the General Terms and Conditions of Sale in force on the day of the Order. The General Terms and Conditions of Online Sale on the Site thus take precedence over any other condition of sale that may be contained in other documents distributed by INTUISKIN France for the Products. It shall not be construed that the Seller has forsworn the subsequent implementation of any of the terms and conditions due to not having prevailed at some point upon any of the provisions of the General Terms and Conditions of Sale. INTUISKIN France will implement all security measures to ensure the availability, integrity and confidentiality of data exchanged. For its part, INTUISKIN France would like to draw your attention to the need to implement all appropriate measures, such as firewalls and anti-virus, regularly updated and properly configured, to protect you in the most efficient manner possible against intruders , attacks and spread of viruses, to ensure the availability, integrity and confidentiality of information sent on the Website. The invalidity of any article of these General Terms and Conditions of Online Sale shall not lead to the invalidity of all the General Terms and Conditions of Online Sale.